I’m still ‘mulling over’ the conundrum I mentioned in the last post. Will PROBABLY give it a try, and list an UN-assembled set of white cake pedestals and see how it goes. IF they don’t sell, I can just assemble them and re-list. OR, as someone suggested, offer to assemble at a higher selling AND shipping price. MAYBE seeing that difference will inspire someone to ‘do it yourself’. Meanwhile . . . more white finds! 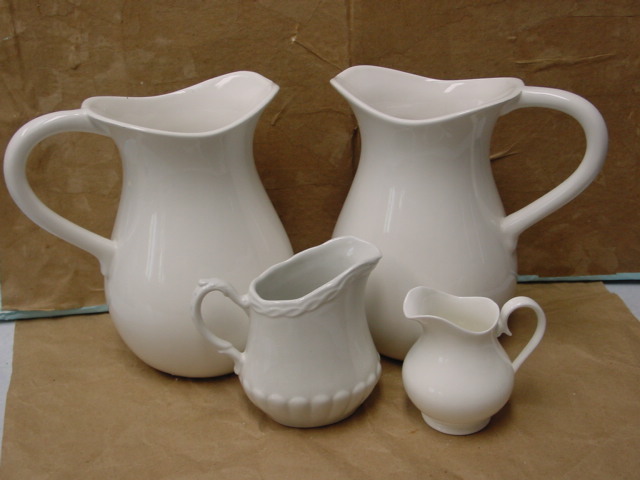 White pitchers. MUST buy them whenever/wherever I see them! These have gone to my space at Stars. I’m especially fond of the ones that have a little bit of detail, like this one. 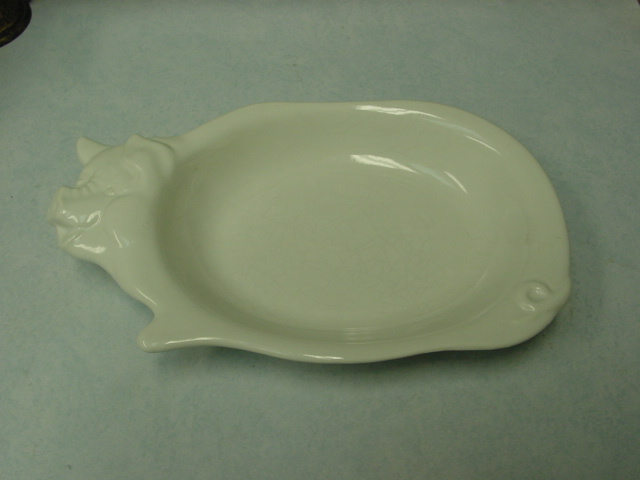 Vintage pig platter. What a perfect piece to pile pulled pork onto. It has gone to Stars. 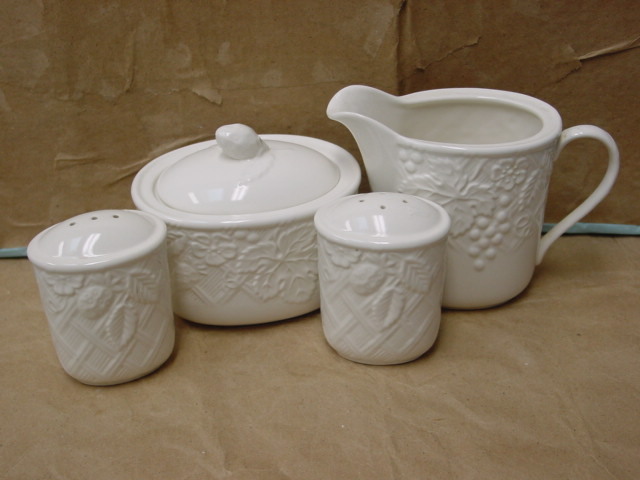 Pretty little condiment set. Will be going to my etsy shop. It’s SO hard to decide which to put where?!?!? No real rhyme or reason as to how I decide right now. Just trial and error I guess. If it doesn’t sell in one, I try it in the other! 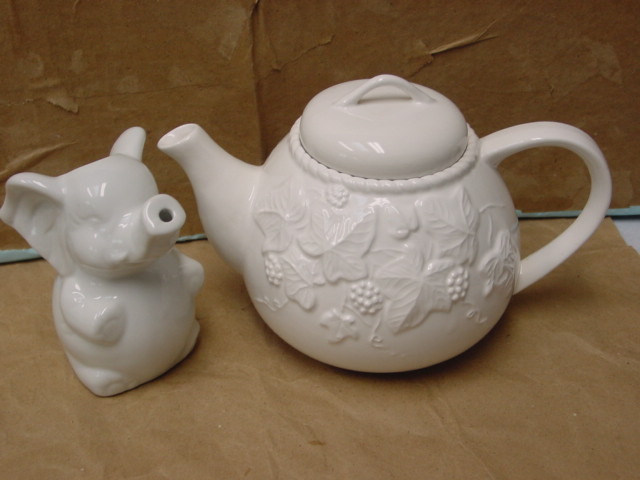 Little elephant creamer to go with the YET SMALLER one I already had at Stars. 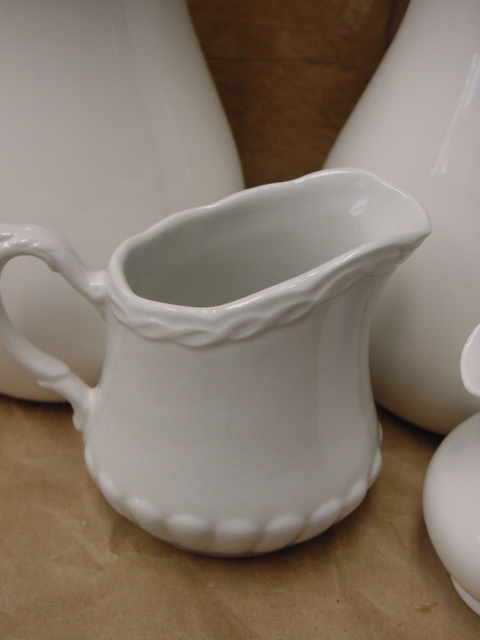 The white tea pot ALMOST matches that condiment set! These both are at Stars. My SPLURGE for the month! 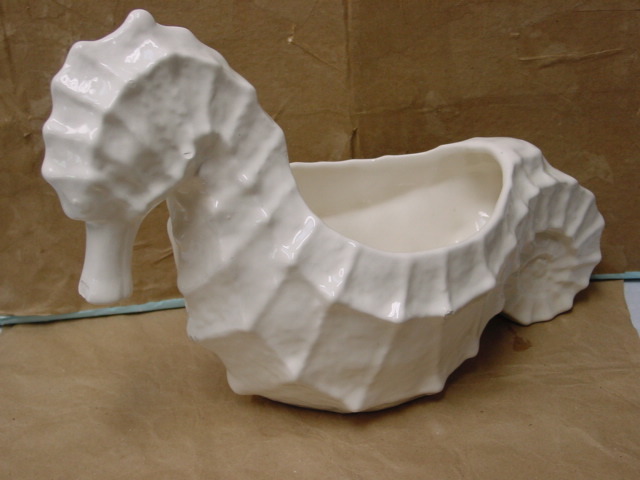 This white seahorse planter is quite BIG and was MUCH more expensive than I will usually EVER spend on one item. It was just such a PERFECT piece to compliment my beachy decor stuff at Stars, that I talked myself into springing for it! 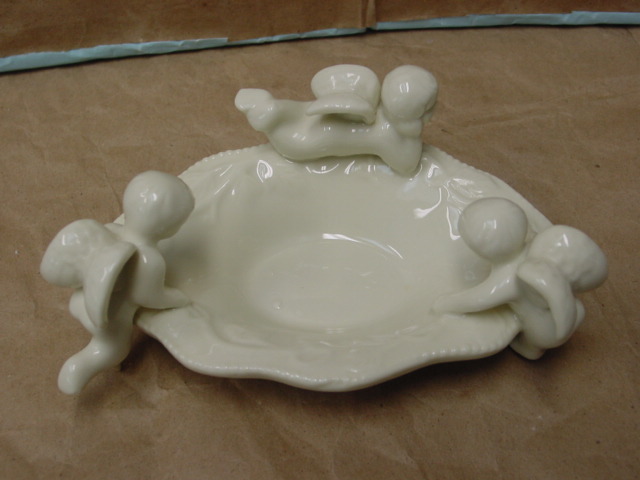 Wouldn’t this be amazing in a beach decorated bathroom filled with rolled up white towels? 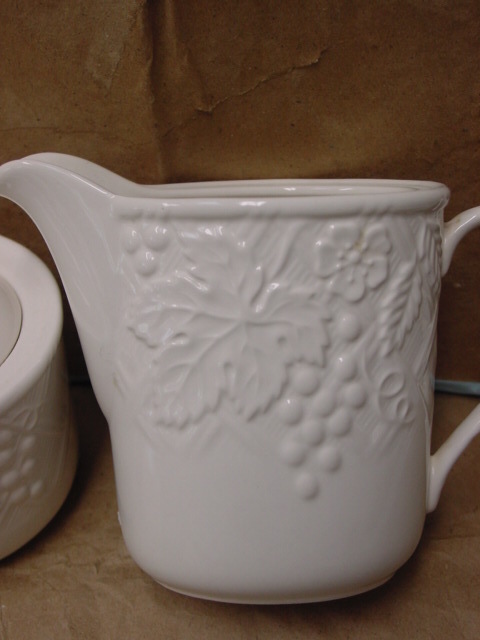 I have Got To buy the white “Grape and Dogwood” set you are showing! Please tell me you still have it and will sell it to me! Thank you! (Baltimore). 410-978-6409 no charge for long distance.